And from those methods, I think vision boards takes the first place. Pumped in movies and discussed in books, even that no little to nothing about attracting things into their lives, have heard of vision boards. Now, I’m not saying that vision boards have never worked for anyone. You might have a good experience preparing a board and then manifesting accordingly. But for most people, most of the time, vision boards are not the way to go. And once you realize the basic concepts of manifesting, it becomes easy to understand why. Say vision board, and 99% of the time, the image of the cork board with lots of images pinned to it will pop up in your head. The method is very simple and straightforward: Take a board, pin to it all these pictures and other visual aids designed to help you remember what it is that you want and visualize it, then hang it where you can see it. If you look at it and concentrate on the images, you should be well on your way to manifesting what’s described on your board. Sounds simple enough. But the human mind isn’t so simple. While vision boards sound like an interesting concept, one that should be harmless, if not a useful tool designed to help you imagine what you want into reality, my own experience with vision boards (which is limited, I’ll give you that, so I am a bit biased) is that they can actually work AGAINST you. The human mind have tens of thousands of thoughts going through it each day. Try as we might, we cannot control that. Placing such a board where you can see it, while supposed to trigger happy thoughts and a go-get-it mindset, can actually trigger the unhappy, why-don’t-I-have-it kind of thoughts instead. How come, you may ask, when everything on this board is designed to inspire you? Well, placing the board somewhere that you can always see it, guarantees that you will look at the images not only when you are imagining the best possible scenario, but you might also glance at their direction when you’re frustrated, conflicted, unhappy or otherwise negative about your life and/or your goals. And these negative thoughts, as we all know, have a way of working against you. Let’s say you want to travel and climb mount Tongariro, in New Zealand. It’s a great hike, really. It is considered to be the finest one day walk in the world. What picture would you place on the board? A picture of the view from the top? While it is breathtaking, our minds are already used to seeing amazing photos and not associating them with any desire to travel to that location. And that’s an easy example. What happens if you are looking to manifest a house you build from the ground up, a successful business or a happy relationship with someone you haven’t yet met? Even if you might think you know of the perfect image to represent that on your board, I claim that seeing the image again and again, your mind will interpret it differently, every single time. Now let’s say that your board is PERFECT. It is an amazing representation of everything that you are looking to feel and accomplish. Even then, sometimes, the board will only serve as a painful reminder of what you have yet to accomplish, and other times the image will lose its appeal altogether and stop representing what it initially did. So, if you read all this you might be asking yourself what is the alternative? After all, if you don’t do a board, what can you do? 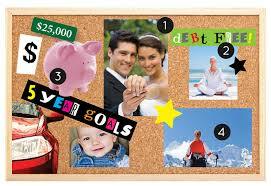 To those looking to do a vision board (and are creative enough) I would recommend a time capsule. Take a box (or in the virtual world, if you prefer, a folder that you will save in an out of sight directory) and put there all the photos and other visual representations of your goals and desires. The time capsule holds the advantages of the board, meaning you create it with a positive state of mind and it represents those things that you are looking to manifest, much like a board. BUT, placing it out of site distinguishes it from the vision board. Once you’re done with the preparation of your time capsule, go over the content one last time, then close it and put it away. If you want to look at it, a few months from now, that’s ok, but carefully choose a time where you’re feeling POSITIVE. Make sure to only look at it being in a state of mind that won’t be negatively affected by the fact you still haven’t manifested all these things. In fact, I recommend either not looking at it at all, or only looking once you know you have manifested something from the box. The positive feelings that come with browsing the content of the box post-manifesting can give you a great boost in manifesting additional things as well. Noooo! LOL. I love my vision board. I am a procrastinator so I need an added boost to keep me focused on my goals. The one place that makes me feel like I am not doing enough is Instagram. I feel like everyone is living but me. I know I may not achieve everything on the board, but it does not hurt to try.